The holidays can be a really exciting time, especially for children. But, the hustle and bustle of the end of the year festivities can leave parents feeling stressed and anxious. 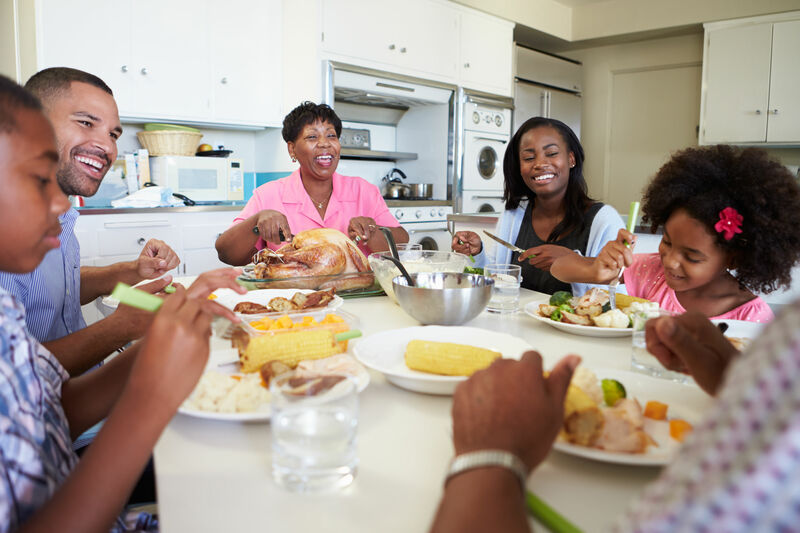 Take the opportunity this Thanksgiving to de-stress, share lots of laughs, be present and bond as a family with these 10 dinner table topics! 1. Thanks-giving. 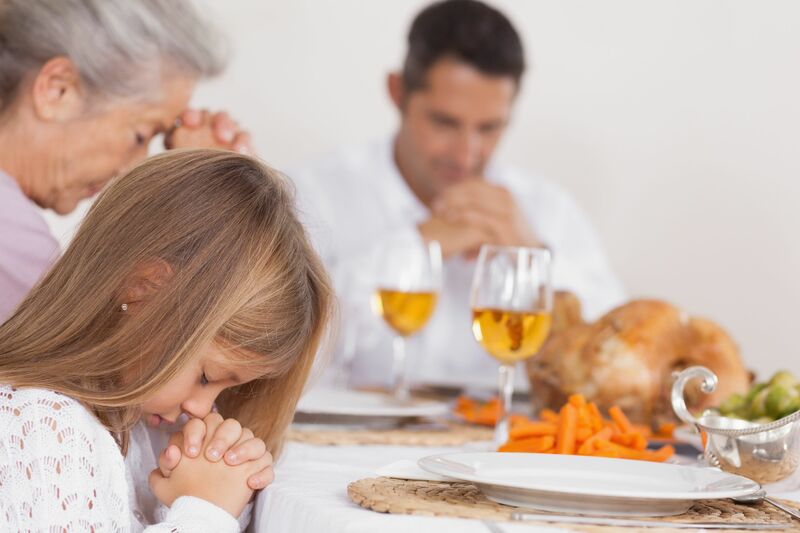 It may seem obvious, but do you really go around the table and discuss what you’re thankful for? Give thanks! Take turns, and each name and describe one to three things you’re really grateful for this year, or always. This is a very heart-warming way to enjoy dinner, to learn about one another, to bring love and joy to the table, and to keep it circulating. 2. If you had… This is a fun way to get to know each other and share some warm fuzzies. Ask a question like, “If you had the opportunity to make the world a better place, what would you do or who would you help?” Allow each person to answer and elaborate. Take turns going around the table. 3. Name one thing. Have each person at the table name one thing about everyone else that is interesting, unique or special. Maybe there’s something about that person you haven’t told them, or shared. This is a sure-fire way to get those feel-good-vibes going and boost everyone’s confidence. 4. Thanksgiving Feast. 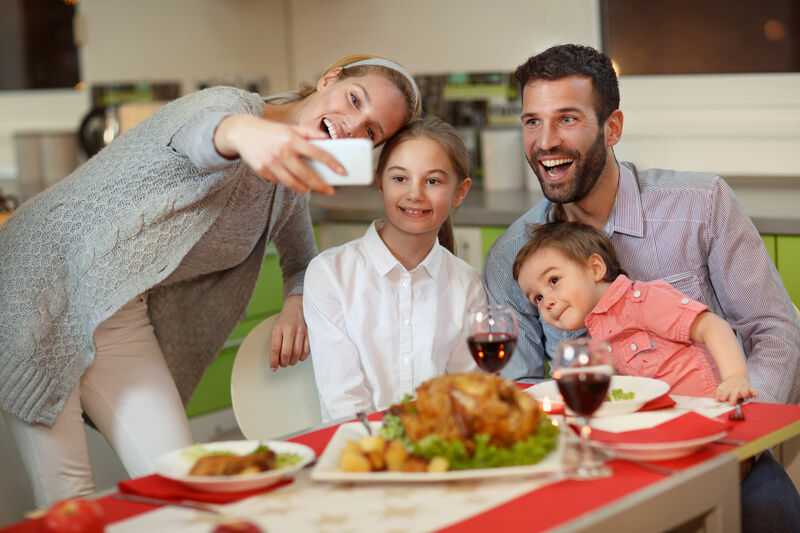 Ask everyone what their favorite food is for the holidays and elaborate on what they would add to Thanksgiving dinner or dessert that would make it even more delicious for them! Maybe next year you can add it to the menu! 5. TBT. Have the kids ask the older generations what their favorite part of Thanksgiving or the holiday season was growing up. This is a great way to learn about rituals and traditions and perhaps keep them going – or start them back up again – for years to come. 6. Memories. Have each person name their favorite holiday they have spent together and explain why. This will help everyone get to know more about the other, what their passions or interests are, and how to continue to nurture that feeling of fulfillment. 8. What’s the hardest thing? Ask each other, what is the hardest thing about being a child, or a parent, or a grown up. While it seems simple, some really deep feelings can come up. On the other hand, perhaps you’ll get a good laugh at some of the silly answers! Kids say the darnedest things, right? 9. Charades. Have each person imitate someone else at the table, without saying who. See if you can guess who they are pretending to be! This one is great for giggles! Whoever guesses correctly gets a turn next. 10. Turkey Time! Have everyone go around and do their best Turkey sound! This one is light and fun, reminding us that life can be full of play and doesn’t have to be serious all the time. While Thanksgiving is a time we strive to be thankful and to remember all of the blessings in our lives, remember that you can still have fun while doing that. Kids get this concept; as adults, we may have a harder time with it. Enjoying each other’s company, getting to know one another on a deeper level, and laughing and playing is just another way to learn to cherish one another for the unique and special individuals that you all are. After some full-body-belly-laughs together, you’ll all be left with a swelling heart, overflowing with love and appreciation for one another and the priceless bond of family. 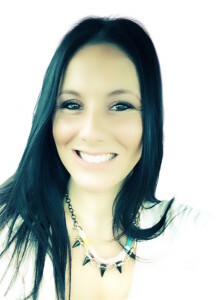 Camille Lucy is a Certified Holistic Health Coach, Certified Reiki & Raindrop Technique Practitioner, Ordained Holistic Minister, Certified Meditation & Yoga Instructor, graphics and web designer, business consultant, and Vice President of a local non-profit that “rehabilitates people through animals.” She is also a writer, a Mother of 3 girls, an artist, a Life-and-Love Junkie, a Self-Expression and Development advocate, and – well, you get the point. She’s a lot of things, just like all of us. Camille is also the author of, “The (Real) Love Experiment: Explore Love, Relationships & The Self.” Learn more about her and her adventure(s) at www.CamilleLucy.com. Posted in About Kiddos, Parents.